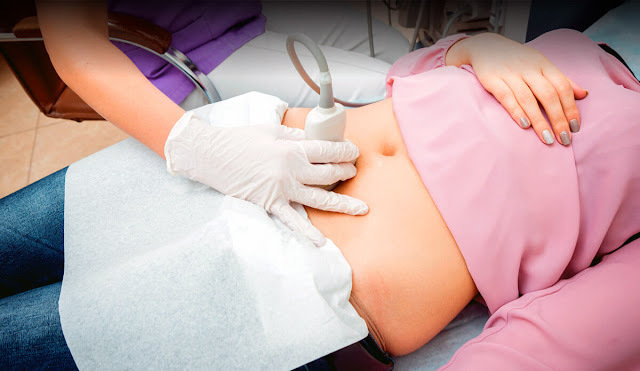 Abdominal ultrasound uses high-frequency sound waves to acquire images of the abdominal organs. Unlike x-ray, ultrasound is non-ionizing radiation, so it has no known negative effects on the patient. It is often used in conjunction with other imaging modalities. Ultrasound, x-ray, and magnetic resonance imaging (MRI) image the body using different technologies, so each may be helpful in determining different properties of a mass for a more complete diagnosis. Bowel gas hinders the visualization of the abdominal organs. When a loop of gas-filled bowel lies between the transducer and the organ being examined, an artifact called shadowing is seen on the image and obstructs the view of the organ. Patients who are scheduled for an abdominal ultrasound are asked to fast during the eight hours prior to the examination. This allows bowel gas to subside for optimal imaging. Most likely, the patient will not need to undress for this examination. The patient's shirt will be pulled up around the chest and towels will be used to protect the clothing from the ultrasound gel. Ultrasound gel is water-based and will not damage clothing. Upon drying, it may look like a white splotch that can be easily removed. Several organs are imaged during an abdominal ultrasound. The pancreas is located in the upper, middle region of the abdomen. The liver is a larger organ that lies in the right upper quadrant of the abdomen. The size of the liver is measured. The patient usually lies on his or her back during the imaging of the liver and pancreas. The gallbladder lies underneath the liver and must be imaged with the patient lying in two positions: on his or back, and on the left side. This allows the sonographer to differentiate between gallstones and polyps as gallstones will move within the gallbladder with the change in position. Lying on the left side also moves bowel loops toward the left side of the abdomen to create a larger sonographic window. The gallbladder wall and common bile duct are measured. Bowel becomes more of an issue when imaging the spleen on the left side. The patient will most likely be asked to roll up on his or her right side to move bowel toward the right side of the abdomen. The size of the spleen is measured. It is usually enlarged in cases with mononucleosis. The kidneys may or may not be measured in images with the liver and spleen. A renal ultrasound is ordered if full examination of the kidneys is necessary. Abdominal ultrasound is often used in children when radiation exposure is highly undesirable. It is often used to follow-up computed tomography (CT) or magnetic resonance imaging (MRI) examinations to better visualize liver ducts, to determine if a mass is cystic or solid, or to assess blood flow using Doppler. Acetaminophen, or Tylenol, may be a good alternative treatment for back pain. The main ingredient in Tylenol is acetaminophen. Classified as an painkiller, Tylenol is an nonprescription drug used to alleviate pain and decrease fever. Acetaminophen is purchased in the form of certain pain medications, like Excedrin, Vanquish and Aspirin-Free Anacin. Tylenol is procurable in generic form, and in combination with other medications. 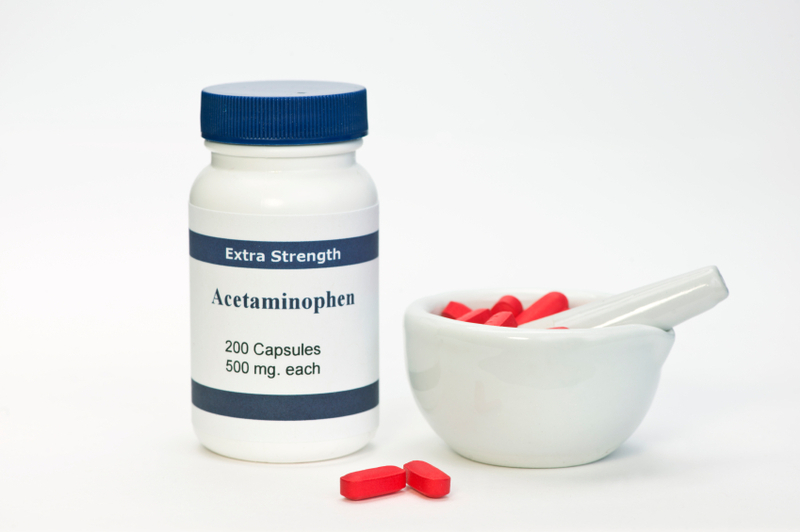 Acetaminophen is consumed for short-term pain relief for moderate to mild pain, and to temporarily relieve high fever. One may take acetaminophen for neck and back pain if one has muscle pain and/or chronic rheumatoid arthritis. Acetaminophen impacts the brain. It acts by reducing the level of the central nervous system chemical that activates pain signals. It also wields a cooling effect by suppressing the prostaglandins (lipids derived from fatty acids) that play a role in the brain’s temperature control center. Acetaminophen and Tylenol are found in tablet, extended release capsule, pill, liquid, or drop form. You may take acetaminophen with or without meals. It also comes in suppository pill form. The acetaminophen label discourages consuming alcoholic beverages and acetaminophen at the same time. An overdose of acetaminophen in combination with alcohol could cause liver problems, and possibly death. It's possible that liver problems could occur even after taking the amount recommended on the boxes. Studies are being conducted to determine the circumstances in which this might happen. 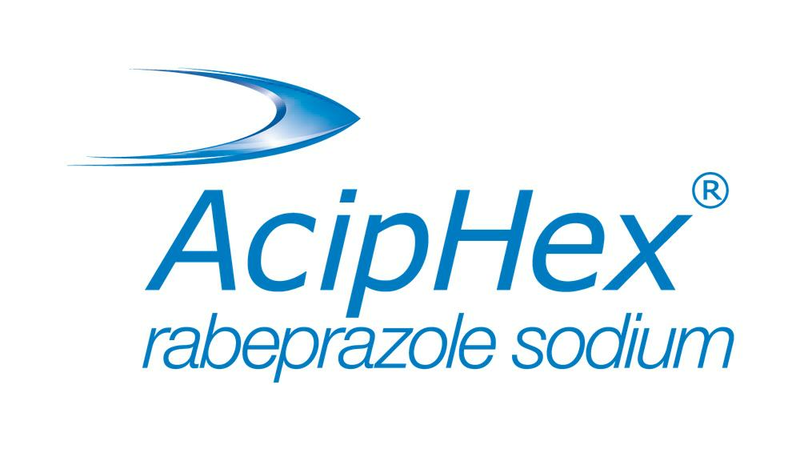 Patients with liver illness, and/or alcoholics should visit with their physician prior to taking acetaminophen, and should read the directions on the box. One should never consume more than the recommended quantity. Allergic reaction to Tylenol or other components of the drug is possible. If you experienced allergic reactions to any of the ingredients listed on the package, don’t use it. Also, refer to your physician if you have an allergy after consuming a dose. If your son or daughter is under two years old and has a cold, cough, or other respiratory issue, speak with your physician before administering him any drug with acetaminophen in it. Inappropriate use of Tylenol can bring about serious side effects, and can even cause death in younger patients. Chou R, et al. (2007). "Diagnosis and treatment of low back pain: A joint clinical practice guideline from the American College of Physicians and the American Pain Society." Annals of Internal Medicine. 147 (7): 478–491. Chou R, and Huffman, LH. (2007). "Medications for acute and chronic low back pain: A review of the evidence for an American Pain Society/American College of Physicians clinical practice guideline." Annals of Internal Medicine. 147 (7): 505–514. Get copies of oxygen prescriptions from the health care provider who diagnosed the need to use oxygen, and make sure there is not any other needed paperwork. Depending on the means of travel, make prior arrangements for oxygen at the end of the destination. With some forms of transportation oxygen may travel with you. Before traveling, call a local company to find out the requirements for traveling with oxygen. Leave plenty of time to make those needed arrangements. Just as if there is a pet in the car, it is necessary to keep windows cracked open for the air to circulate. When using liquid oxygen, place the canister upright on the floor or on the seat. Secure it with a seat belt or tie it securely to the back of the seat. Store any extra oxygen canisters behind the seat: do not put them in the trunk as temperatures there can rise too high. Do not smoke or let anyone else smoke in a car with oxygen. Call the bus or train depot in advance and report the need for oxygen. Most likely, the oxygen tank can go along. Some transportation companies require a copy of the prescription prior to entry onto the train or bus. Being without oxygen, even for a short time, can be dangerous, so preparation ahead of time is crucial. Call the airline in advance to make arrangements: oxygen tanks may not be allowed on the airplane. However, airlines may supply oxygen for a fee. Be aware that the airline's oxygen will only be available on the plane; oxygen is required for the airport. Call the local medical equipment company to arrange to have oxygen delivered at the airport, as well as for any layovers during the flight. Most cruise ships will allow personal oxygen to come along. It is advisable to call the cruise ship prior to boarding, and make arrangements. The shipping line will need a letter from a health care provider including a medical history, and a copy of the oxygen prescription. Arrange to have oxygen delivered at the ship, as well as to any layovers during the cruise. Always keep open flames at least five feet away from stored oxygen or oxygen in use. This includes cigarettes, pipes, matches, candles, or fireplaces. Keep oxygen at least five feet away from any other source of heat like space heaters, furnaces, and radiators. When not in use keep the oxygen canister completely turned off. It is advisable to keep a fire extinguisher at hand, and know how to use it. Never smoking near oxygen. Post a "no smoking" sign near oxygen tanks. Never use oxygen while cooking with gas. Do not spray air freshener or hairspray near oxygen: aerosols are highly flammable. Using vapor rub, petroleum jelly near oxygen is dangerous as oil-based products are flammable as well. A good place to start making plans to travel with oxygen is with a local supplier. Chain suppliers usually can help by communicating with their offices in other towns to make arrangements. 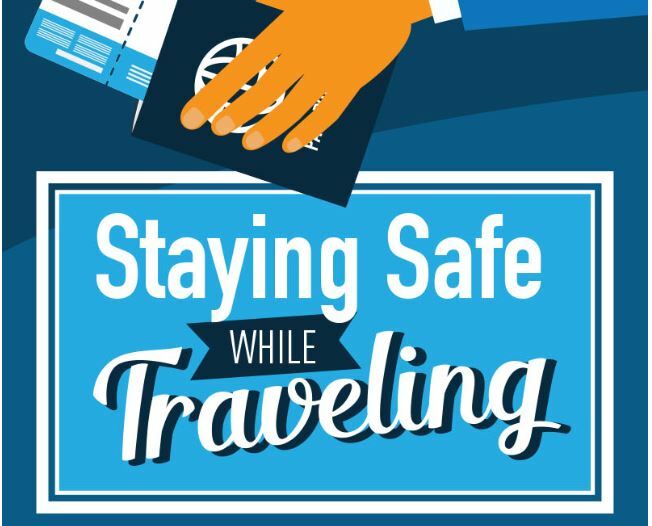 Many are part of a network that can make a trip comfortable and safe.